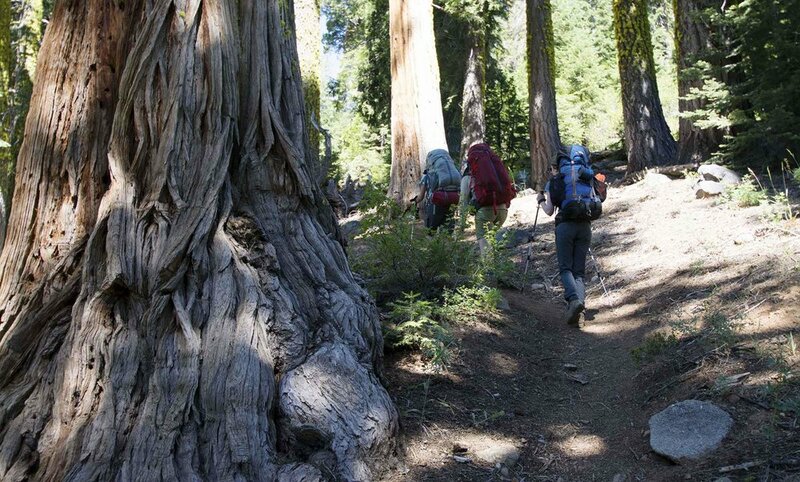 EXPLORE vast expanses of mountains, lakes, and streams hidden among the Trinity Alps Wilderness. HANDS-ON TRAINING so you can show off your skills next time you pitch a tent (we'll make sure you look like you've been doing it since you were a kid). ZERO STRESS around literally any planning. We handle everything from permits to bug spray, so all you have to do is soak it in. SPACE TO DISCONNECT from the day-to-day urban living, and stop, breathe, and focus on what's happening NOW. THE MAVEN FACTOR, a.k.a what happens when you mix dynamic, thoughtful, open-hearted women for a weekend outside. Enough SELF-CARE to get you through any hurdle. Eat gourmet backcountry meals, work your glutes on-trail, and enjoy the brilliance of Mama Nature. Pack a light daypack; you’ll be camping in the same spot tonight! Alpine lakeside picnic lunch - take your pick from Summit, Diamond, Luella, or Deer Lakes! Click here for a distance/elevation profile of this trip's hiking route. Every single Trail Mavens trip starts with strangers. But don't worry - if you're nervous about not knowing anyone or not being skilled enough, almost every Trail Maven says this before they go. To feel more confident before signing on, read our FAQs for the info you need. Trail Mavens follows Leave No Trace principles, and we'll be pooping into catholes we dig ourselves and packing out all our toilet paper and feminine hygiene products. Plan to book a flight arriving in the Bay Area no later than Thursday evening, and departing no earlier than Monday morning. Airbnb is a great choice for lodging in the Bay Area. Your exact departure point will depend on the other women on the trip - we always try to choose carpool meeting locations that are convenient for everyone - but the city of San Francisco is relatively small, and you can get most places in 15-20 minutes with a relatively inexpensive Lyft ride. ... love open, honest, hilarious conversations with other women. Surface stuff is fine at home, but you know the best stuff comes out while you're sharing a Platypus full of wine under the stars. Trip fee is exclusive of transportation costs to/from the park. We don't want finances to ever be the thing that gets in the way of you experiencing a Trail Mavens trip. With that in mind, we offer installment plans, so you can spread out trip payment over three months. Sound appealing? Email us at hello@trailmavens.com and we'll get you set up.